Beacon Intermodal Leasing, LLC is an industry leading lessor of intermodal cargo containers. They have the unique competitive dual advantage of being able to draw on the resources of one of the world’s largest financial institutions while utilizing the creativity and experience of our people to tailor leasing options to meet the operational and financial needs of their valued customers. 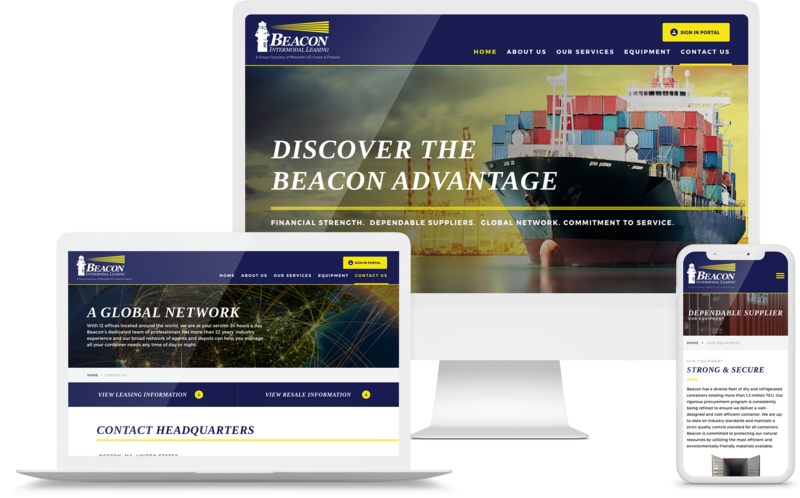 GoingClear designed and developed a fresh new professional website for Beacon Intermodal which is fully responsive, setup with a user-friendly CMS system along with video integration on their home page to enhance their user experience a bit. We also worked through proper IA (Information Architecture) planning, wireframing and their new sitemap strategy.